The worldwide market for self healing materials is estimated to grow at a CAGR of 59.0% between 2018 and 2026. Self healing materials are high-grade polymers with the capability to heal automatically or change in response to changes in their environment. They are also being labeled as intelligent products and find wide application scope in building & other construction places, drug delivery systems, bioseparations, self-adaptive wound dressings, polymers used in automotive applications, and other biomedical applications. This widening application scope can be attributed to their sensitivity varied factors such as humidity, electrical or magnetic field, temperature, pH, and wavelength of intensity of light. These products react in numerous ways such as becoming permeable to water, transparency, changing shape and altering colors. The market is anticipated to gather pace due to rising awareness regarding benefits of these products. Self healing products hold huge potential in a plethora of applications in end-use industries including aerospace, automotive, healthcare, defense and electronics. The usage of these products in potential applications such as biomedicine and coatings is subject to various researches, hypothetical experiments, development, and commercialization. These materials are still in nascent stage and prices remain to fall on the higher side. However, growing awareness and superior characteristics of these products is expected to facilitate mass-production over the next five years. This would not only help in lowering pricing level but also lead to development of novel applications. Coating segment accounted for the largest market share in the recent years. Polymers are anticipated to remain yet another dominant segment owing to their extensive array of applications including reusable custom molds, dynamic configurable parts, and deployable components.Building & construction and automotive industry are expected to remain the leading application segments for self healing polymers owing to the capacities of these products to substantially recover their load transferring ability after damages, its contribution to the durability and safety of polymer components and restoring the performance of the composite. Development of these products has become an area of increasing interest to several material scientists over the last few years. These self-healing polymers exhibit the ability to heal in response to the damage, and biological systems where self-healing is a common place has played a pivotal role in instigating the development of self-healing components. There has been an increase in use of composite products in place of metal alloys across several advanced application including automotive aerospace and marine among the others essentially owing to their light weight and mechanical properties. Therefore, the development of durable and damage resistant composite products is essential, and self-healing materials play a key role in preventing failure and at the same time extend the lifetime of critical structures. North America is expected to emerge as the largest regional market by 2026. Presence of a well established automobile manufacturing base and significantly growing constructions market especially in Mexico and Canada apart from the U.S. are the major factors driving the industry. 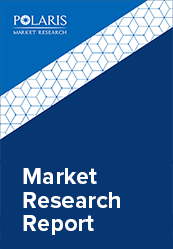 Several research and development projects undertaken by many industry participants along with universities have been the major factors for the developing self healing materials market of the region especially of the U.S.
Major industry participants manufacturing these products in the global market space include Dow Chemicals, AkzoNobel, Huntsman Advanced Materials, and Autonomic Materials, Slips Technologies, Inc., Sensor Coating Systems Ltd., Acciona S.A., Applied Thin Films, Inc. (ATFI), Akzo Nobel N.V., Avecom N.V., Autonomic Materials Inc., BASF SE, Covestro AG (Formerly Bayer Material Science), Critical Materials S.A. and Devan Chemicals.